Let’s start this review with a quick story, shall we? Set the wayback machine for Sunday morning at Ad Astra in Toronto. After a weekend of drinking (because I’m at a con hanging out with other writers) pain pills (because I did something to my back before the con) and not enough sleep (see the above) I found myself on a panel with Charlotte Ashley and Derek Newman-Stille. If I recall, the topic of the panel was contemporary issues in science fiction. Being hung over, exhausted, on meds, and desperate to seem clever, I ended up bloviating pretty hard. Rookie mistake. I should have known better. The one decent thing I remember saying was that it would be interesting to see a space opera working to deconstruct empire, rather than using it as a convenient narrative vehicle. I think John Scalzi does just that in The End of All Things. Even if the latest volume in the Old Man’s War universe doesn’t fully dismantle the romance of the space empire in space opera, it does put empire, as a concept, under a magnifying glass. The Colonial Union shows us the cost and hubris of a hard power empire. To maintain its dominion, the CU uses its corps of super-soldiers against human colonies seeking independence. In contrast, the six-hundred alien races of the Conclave – a more pragmatic United Federation of Planets – illustrates the soft-power empire. Where once the Conclave existed as a mutual defence (against the Colonial Union) and trade organisation, its hegemonic power has given way to a modified Bush Doctrine of “get the humans before they get us”. This cold war on the verge of going hot continues the central theme that began in Mr. Scalzi’s previous novel, The Human Division: even the grandest house of cards can be undone when someone small bumps the table. A reader might expect to find this story told from the perspective of the upper echelons of power. 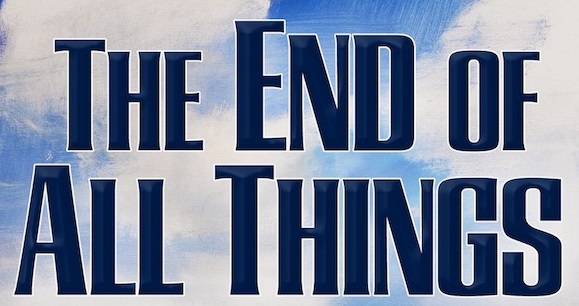 With only a single exception, The End of All Things leans heavily toward telling the stories of working people on behalf of their greater whole. One of the most important characters to the story is the third-string pilot on a cargo ship. A pair of lieutenants within the Colonial Defence Forces anchor half the book. Even with the fate of the galaxy is at hand, Mr. Scalzi subverts expectations that might see space Jack Ryan rubbing elbows with the space Joint Chiefs. Perhaps this is the great strength of Mr. Scalzi’s writing. He is an expert at writing people, even when he’s working with non-human characters. The aliens of The End of All Things are not hideous and unknowable others. One particular alien takes up arms against humanity because there is widespread unemployment on his planet, and fighting means having a job. This doesn’t mean humanity is cast as the galaxy’s foremost monsters, either. If anything, humans are seen as tiresome and exhausting. To paraphrase one particular alien leader, “I’m sick of thinking about humans.” Aren’t we all, Madam Premiere? And while we’re on the subject of being tired of humans, there’s a delicious snark running through each of the book’s narrative voices. Nowhere is this more evident than when the author pays attention to fine details that might get lumped into the category of social justice. This isn’t to suggest the novel is a manifesto. In point of fact, it is the exact opposite. The End of All Things is effortless in the way it promotes institutional equality, tolerance, and compassion as de rigueur. I picture the Robert Heinlein fanboys reading The End of All Things and being horrified at the presence of “SJW” propaganda leaking into “their” genre. In truth, it doesn’t take much imagination to envision Mr. Scalzi intentionally biting his thumb at the kind of people who feel threatened by women written outside the confines of the male gaze or the use of alternative pronouns in reference to non-gender binary characters. At the end of all things, Mr. Scalzi challenges his characters, and by extension his readers, to see beyond the monolithic ideas of their/our times and toward something better. I’m told there’s a certain hubris, perhaps even a privilege, in and about narratives of hope within science fiction. If this is the case, I trust the internet will deputize the appropriate taxation authorities to collect on my complete and total satisfaction with this novel. It’s one thing for a novel to impress me. It’s something else when it stirs an optimism I thought long since crushed under the weight of cynicism and a popular tendency toward darker narratives of entropy and annihilation. 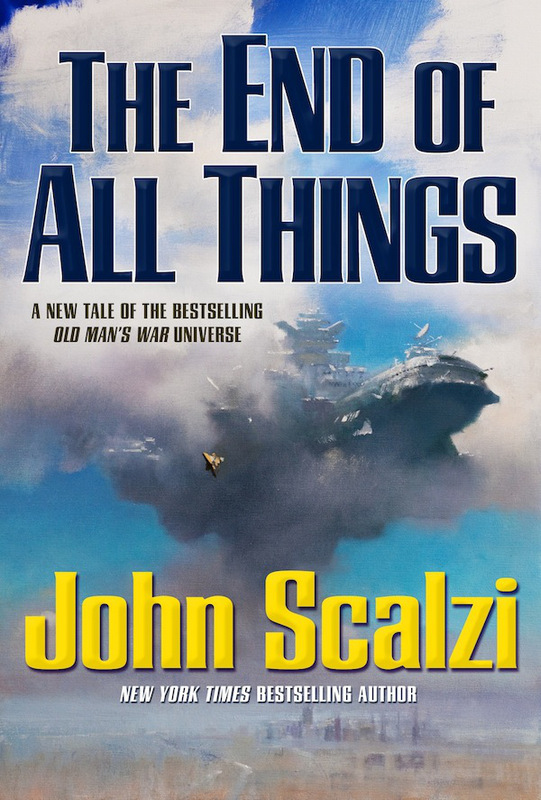 If this is the end of the Old Man’s War universe, then Mr. Scalzi has given the old girl a fantastic send off. If not, he’s driven his universe toward an uncertain evolution that should make for some fantastic novels to come.